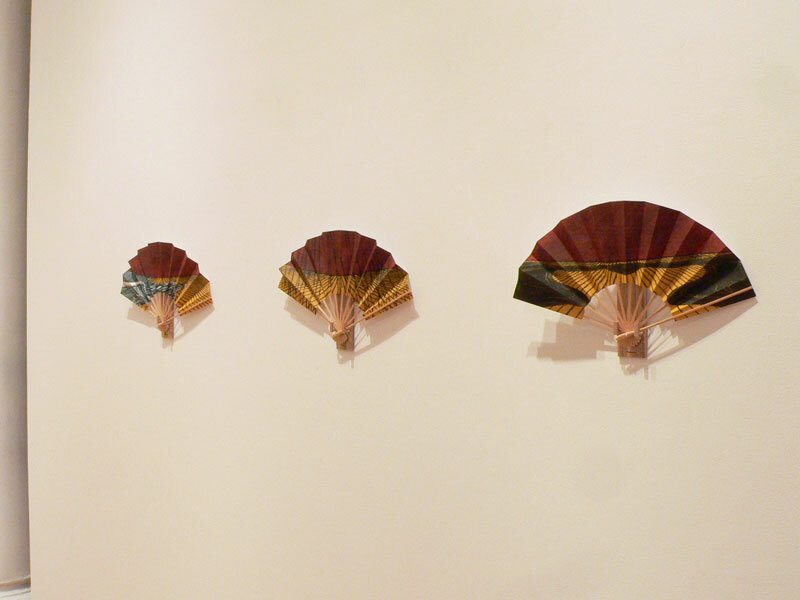 Ishizumi fans have been treasured globally ever since the Meiji Period when they were exported from Kyoto to the west. 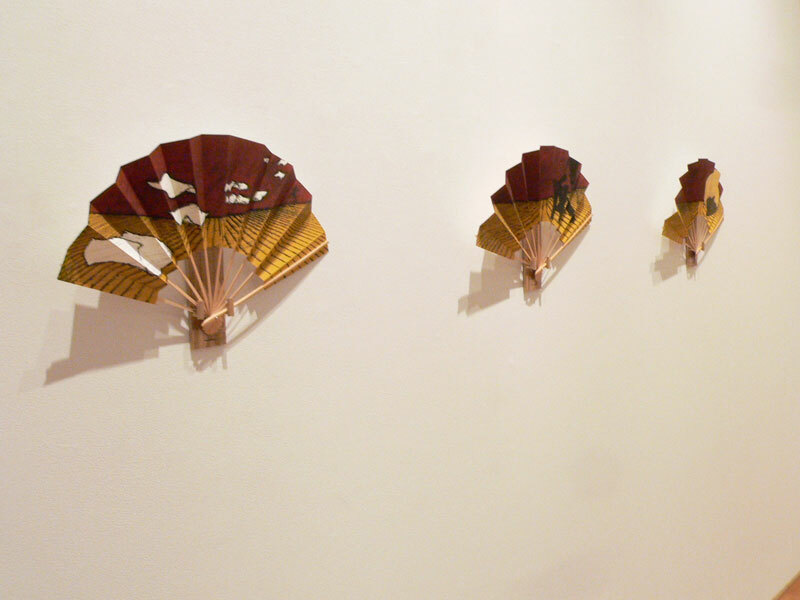 These historically relevant Ishizumi fans have been exhibited in prestigious collections, world fairs and are prized globally for their fine workmanship and exquisite embellishment. It was the likes of Ishizumi fans that influenced such renowned painters as Degas, Gauguin, van Gogh and other Impressionists and post-Impressionists to paint in the fan format, subjects and compositional design. 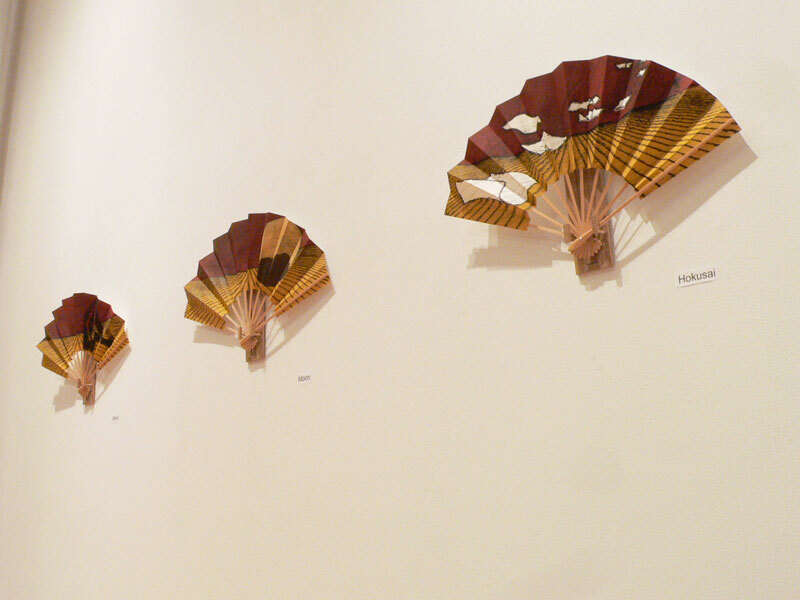 Although other forms of fan existed earlier, the folding court fan (Akomeogi) was invented in Japan between the 6-8th centuries. The History of Song attributes its transmission to the Japanese monk Chonen who offered a gift of fans to the Chinese emperor in 988. 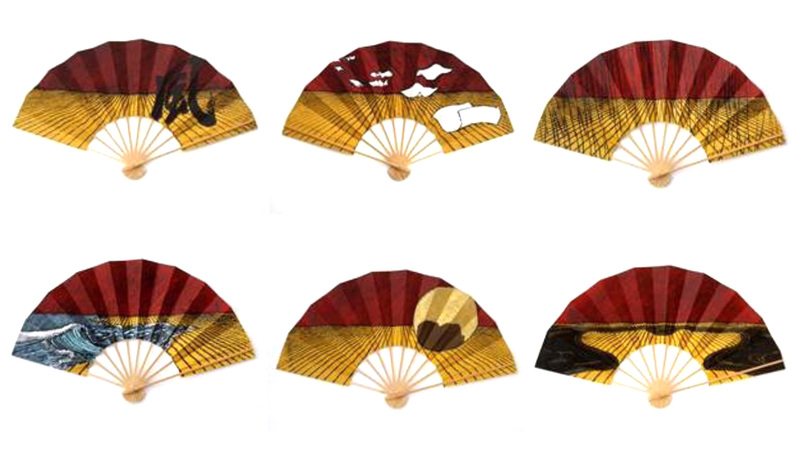 The fan symbolizes metamorphosis, friendship, and positive wishes while its semi-circular format, refers to the Enso sign that is associated with enlightenment, power, the void and the Universe. 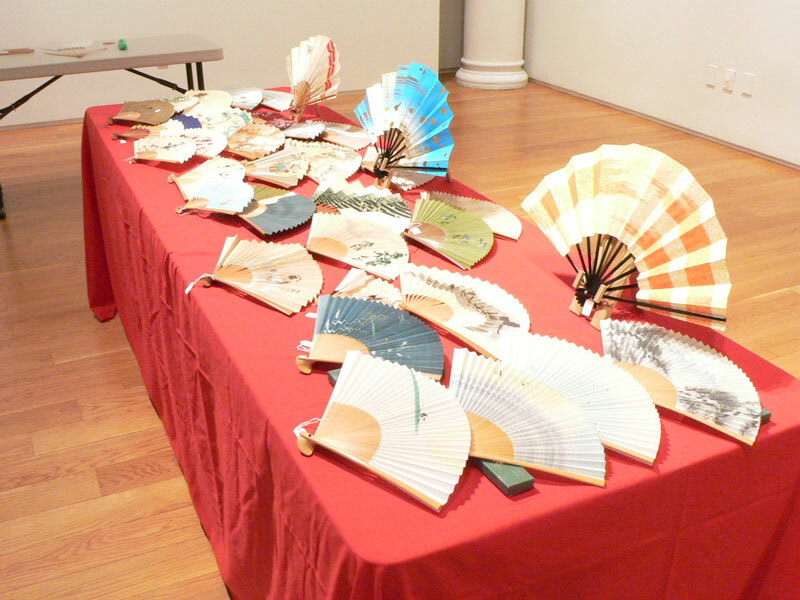 Very important artists from both China and Japan have painted silk fans in one of three formats; the ogi, the silk folding fan, the hiogi made for court ladies out of wood, and/or the uchiwa, the round fan. 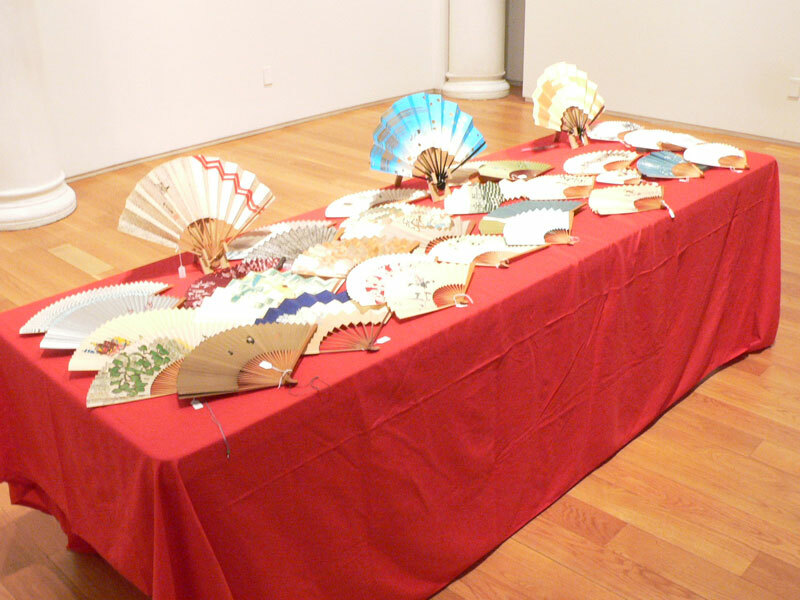 Throughout the centuries in Japan fans were embellished with gleaming color, pearls or other stones, painted with natural motifs such as plants, flowers and leaves, calligraphy or with figurative scenes. During the Heian period they became so sumptuous as, to cause a law to ban them for years. Fan painters were favored by Imperial courts and their paintings repeated on other formats such as screens as was Tawaraya Sotatsu’s Screen Painted with Fans, c. 1630 in the collection of the Daigo-ji Temple in Kyoto. 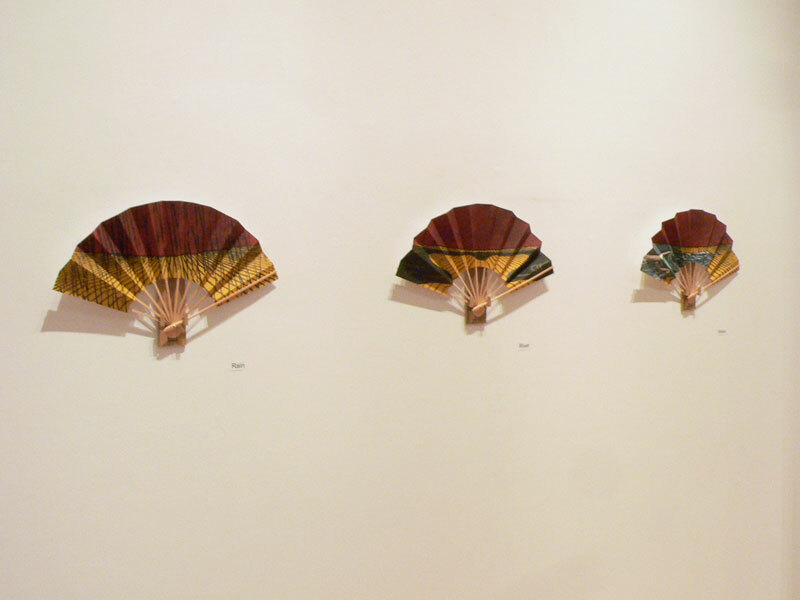 Like Kisaburo Ishizumi, the highly respected artist Sotatsu began his career as the owner of the Tawaraya fan shop who developed Yamato-e painting on fans, screens and fusuma paintings. Sotatsu was active during the Edo Period or latter 17th century and while taking his cues from 13th century e- maki narrative scrolls, he painted figural scenes on his fan paintings. 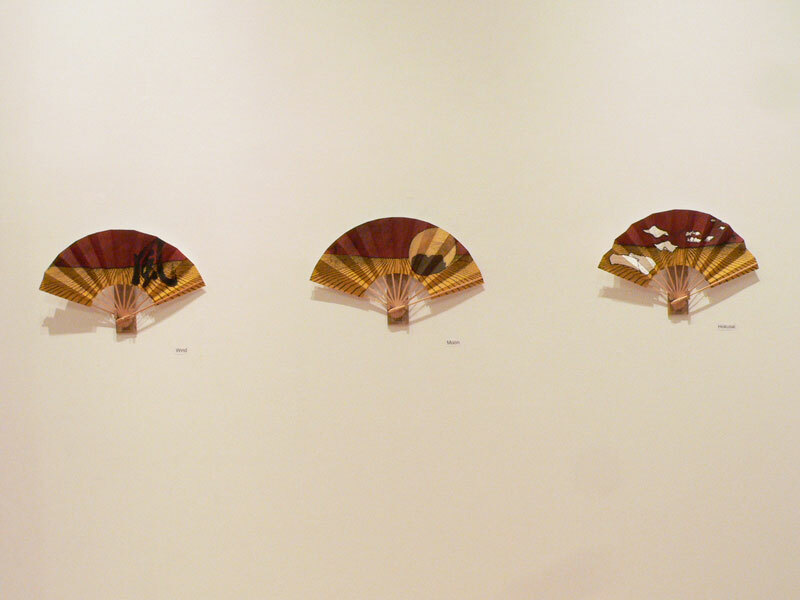 However, this type of compositional design slated for the fan semi-circular format posed unique challenges that Sotatsu met by distributing his figures very carefully on the curving fan surface. In order to achieve balance within his asymmetrical designs he needed to tightly control the placement of his voids and solids. 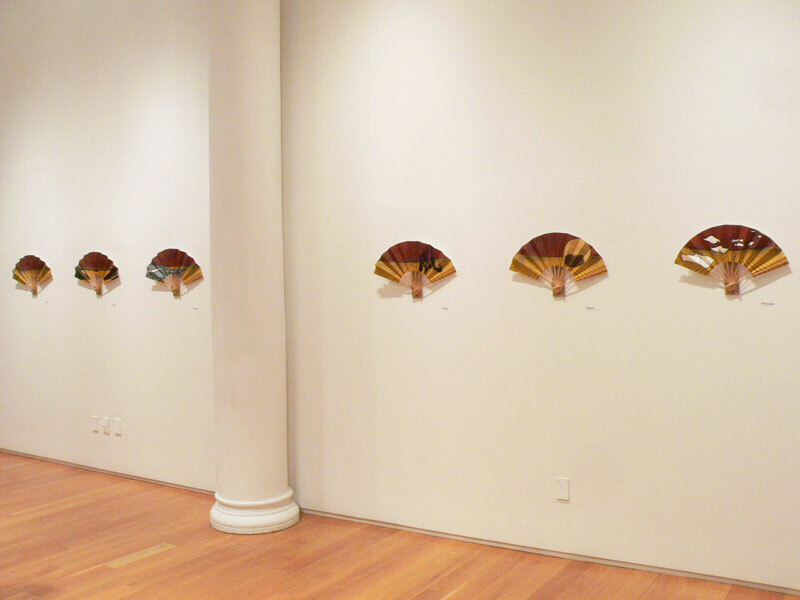 The roundness of the fan format offers us a perspective that is analogous to ‘a slice of life’ or ‘a peephole view’ producing flat expanses of space read as void, punctuated by the figure/s or the solid, on the opposite side and resulting in asymmetry. In addition to the great Sotatsu, there have been many other known painters preoccupied by this format. Among them are Koryusai, Kano Nuinosuke and the Ukiyo-e artists Kuniyoshi, Hokusai and Itagawa Toyokuni I. The Ishizumi tradition is continued today by artist-successors like Nana Shiomi whose printmaking is inspired both by Ukiyo-e and the Rinpa heritage of Sotatsu-Korin. Shiomi who lives in England, uses Japanese washi paper as ground for her woodcuts colored with water based inks, producing fan prints inspired by historical art. This accomplished artist is especially fond of the print because of its inherent ability to produce a mirror image. 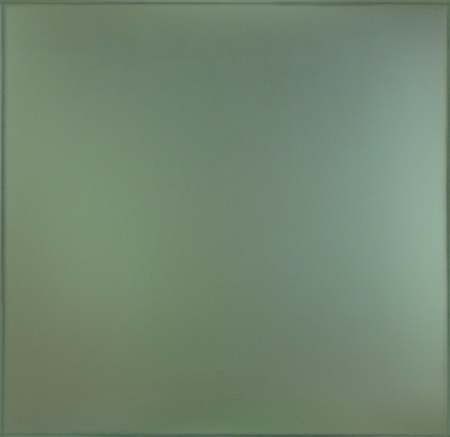 Shiomi began her Mitate series (a type of allegory) in 1998 and continues this cycle treating subjects universal in nature but, that resonate with Japanese culture. In one example, a work inspired by Hokusai, pieces of white paper are depicted unfurling diagonally becoming smaller as they recede in both top and bottom portions. The lower half is created out of a gold ground with black lines that meet at a point as in western perspective. The red top portion contains diagonally oriented lines that allude to rain and is sharply divided from the bottom half. So that the artist achieves a series of harmonious opposites such as linear/painterly, dark/light, curving/straight, top/bottom, with which she binds the compositional design into a whole. 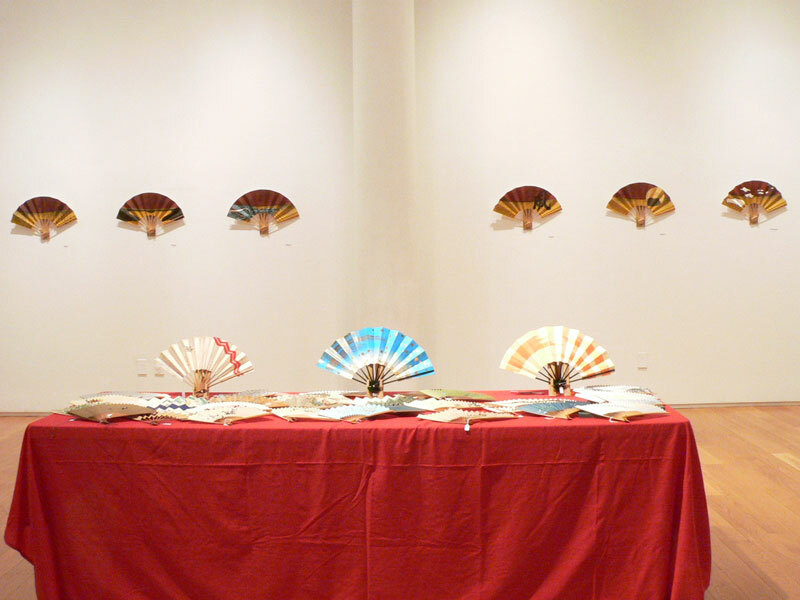 Ishizumi has commissioned top artists such as Emi Isayama, Kiryusha Matsuda Takumi, Nadia Chalabi, Charles Summers, Sydni Sterling from around the world to paint, print or embellish fans that they produce flawlessly and that are, among many others, in the such prestigious collections as the British Museum, and Cambridge University.